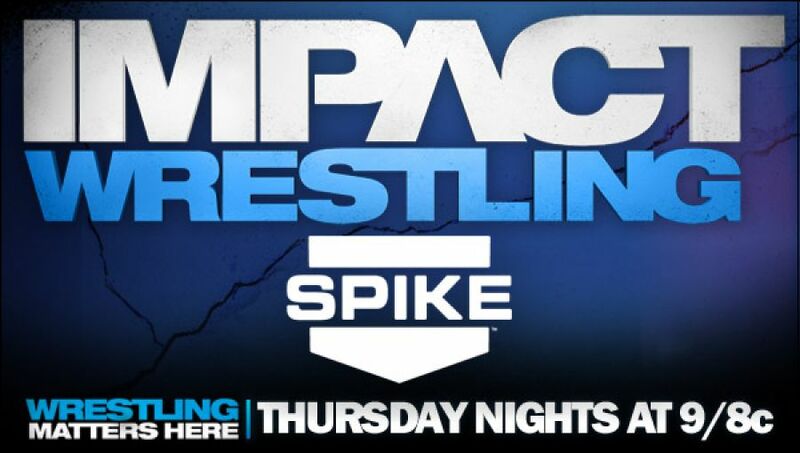 Preview Thursday’s IMPACT WRESTLING broadcast on SpikeTV at 8/7c – if you can’t watch the action on Thursday, make sure to set your DVR! – Just when The Aces and Eights thought they eliminated all of TNA’s heroes, “The Icon” Sting is BACK! What does Sting have planned for Thursday night? How will Hulk Hogan react to Sting’s return? Can Hogan and Sting resolve their differences to finally put an end to The Aces? Tune in and find out! – Speaking of The Aces, Olympic gold medalist Kurt Angle has issued an Open Challenge to any member of Aces and 8s to face him one on one this Thursday on IMPACT! – Thursday’s IMPACT will include the anticipated in-ring return of Chris Sabin! After fighting back from two major knee injuries, the longtime X Division superstar is ready for action! On Thursday, Sabin will return in an X Division Contender’s Match against Sonjay Dutt and Zema Ion! – Thursday’s IMPACT will also feature big news on June’s annual “Slammiversary” event as the challenger for the World Heavyweight Championship main event will be revealed! All this and much more on Thursday’s IMPACT WRESTLING broadcast on SPikeTV at 8/7c as the road to June’s “Slammiversary” continues!